Anytime I am at a store shopping, naturally I look around for ideas for my next cake, cupcake or cookie design. Sometimes I am inspired by a shirt or toy as to what I want it to look like, but sometimes as I walk around I find items that I can use as a tool to make them. I love these for a few reasons: 1. They generally are cheaper than cake tools. 2. You can find designs that aren’t offered as cake tools. 3. It is fun to be creative. Recently I have been noticing that there are quite a few neat ice cube trays out there! They come in quite a few themes and some are pretty intricate! Since they are food safe and most are made of silicone they work perfectly for cake decorating! 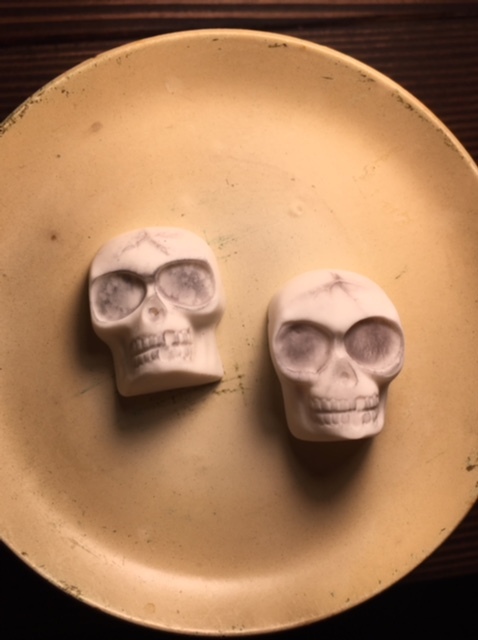 Here is a video I put together showing how quick and simple it is to use the ice cube molds making a skull cupcake topper for Halloween. Click on the link and it will take you to the YouTube video I made. You can buy the skull mold here. Amazon also has some really cool 3D skull icecube molds as well as many other neat themed molds.